We are constantly trying to improve the entire authoring workflow on ShareLaTeX, a core part of that has been references which we are investing a lot of time into. 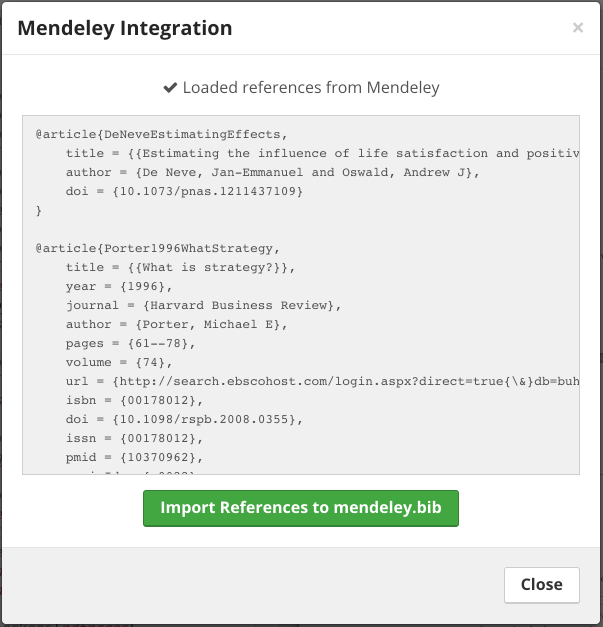 Following on from the ability to search for references via our amazing search feature we have added the ability to import your bibliography from Mendeley. Look in the left hand menu to start the linking of your accounts and to pull in the latest version in future. Your bibliography will be pulled down into mendeley.bib which you can add as another reference source in your LaTeX code.